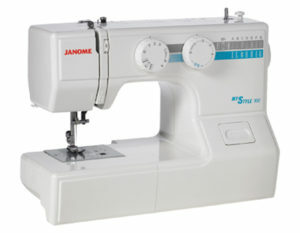 We carry a wide selection of Janome and Elna Sewing Machines. 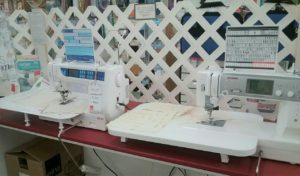 Whether you are a beginner or expert seamstress we are sure to have the right machine for your needs. 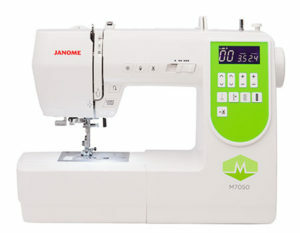 Janome and Elna are known throughout the industry as being well built, reliable and easy to use machines. 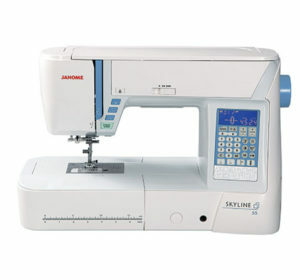 Sewing is always more enjoyable on a new, trouble free machine! 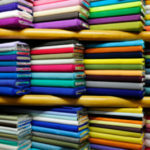 Why Buy from New England Fabrics? Try Before You Buy: Sit down, relax and sew! Our machines are on display and ready to try. The only way you know you will be happy with your machine is to try it before you buy it! On Site Service: We clean and Service our machines right here in our store. If you ever have a problem, just bring it in and we will make sure you leave happy! Advice: Not sure what features you need? Our staff loves to sew and quilt as much as you do! They will sit down with you and help you choose the perfect machine for your needs. Parts/Supplies: Need a special foot or accessory? We stock most Janome & Elna feet, bobbins and accessories. No waiting when you want to sew! 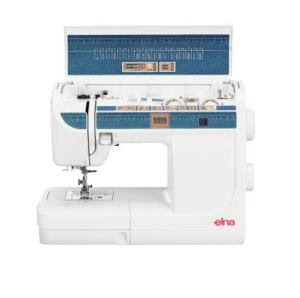 Compact and comfortable, the elna 264 offers essential overlock features to complete your creative ideas, while delivering flawless results. You can carry out all the steps of your sewing projects, by cutting, sewing together and overstitching in one operation.